Spotify lets you pick the exact song, artist, or genre that you want to listen to from its vast online music catalog. With instant streaming access to millions of songs, you can easily build your own personal music collection with playlists for each occasion and every mood, and then share your collection with friends over Facebook and Twitter. 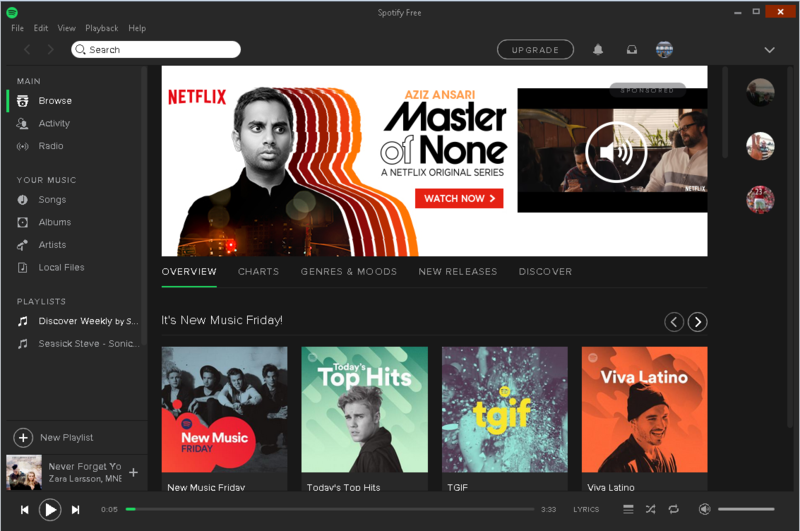 If you get tired of playing your old favorites and want to discover something new, just let Spotify bring you one great track after another. Spotify gives you a free and legal way to access your favorite music wherever you go.